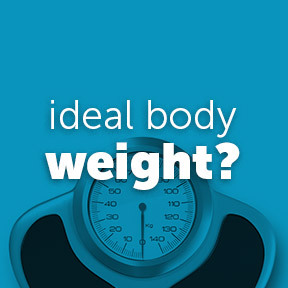 Do you have a number in mind that you consider your “ideal” weight? Apparently, many of us do. Some struggle for years to reach and maintain a specific number on the scale that our bodies may well resist. Research appears to support the weight set point theory, which suggests our body weight is regulated by a predetermined or preferred range that is likely genetically determined. According to the set point theory, every adult has an internal control system that dictates body fat percentage, body size, and a stable weight. In fact, science demonstrates that body weight is determined by hormones, diet, and exercise, as well as genes. The weight set point theory was originally developed in 1982 to explain why repeated dieting is often unsuccessful in producing long-term weight loss and body shape changes. According to the theory, the setpoint is the reason why dieters hit a plateau, or regain their hard-fought weight loss. While some question the existence of set points, research suggests genetic factors can predispose an individual to a certain body weight. Many may be surprised to learn that the setpoint can typically fluctuate ten or twenty pounds, meaning that the desire to be thinner may not correspond to their body’s idea of its ideal weight. The theory holds that dieting for weight loss is an attempt to overpower the biological set point, which is quite a formidable opponent in the weight loss battle. It seems that the set point is very good at supervising fat storage and doesn’t recognize the difference between dieting and starvation. Even the most dedicated dieters often find themselves struggling to lose those last five or ten pounds. Long time caloric deprivation signals the body to turn down its metabolic rate, burning calories much more slowly, as the body shifts to conserve its energy stores. Dieting becomes progressively less effective and further weight loss all but impossible, once you reach your predetermined natural set point. There is no scientific way to determine an individual’s set point. However, it can be estimated. If you have eaten a healthy whole food diet and have participated in moderate exercise for approximately one year, you will likely have reached your natural weight set point. Any further attempts at weight loss may result in a no-win battle for those still trying to achieve their conception of ideal weight. It appears that at some point, we should accept our natural weight, especially when we have made strides to get there. Studies show that those who are happy with their weight are happier and more content overall. When weight remains stable, the body can function naturally and effortlessly at its own ideal natural weight. Giving up the struggle gives one more energy to focus on enjoying a healthy life without the constant calorie monitoring. Is there anything you can do if your body weight settles into a range that you’re not happy with? Yes, it’s possible to tweak your set point by offsetting genetic markers of obesity through proper diet and exercise. Lean tissue mass and reduced body fat can help to determine the body’s set point. Strength training is particularly effective for reducing body fat and building lean muscle tissue. Proper and consistent dietary changes, as well as increased energy expenditure can assist weight loss and maintenance, and help to lower your weight set point. Although you may feel discouraged at not reaching your perceived ideal weight, research shows that the keys to creating a set point that you are happy with is managing stress, getting sufficient sleep, following a healthy high fiber, adequate protein diet, and very importantly, increased and sustained physical activity. Weight Management Profile by ZRT Laboratory: This saliva and spot blood test measures estradiol, progesterone, testosterone, DHEA and cortisol levels, as well as insulin, vitamin D and more. Hormones are key players in regulating weight, metabolism, blood sugar, insulin, and fat storage. A 15-minute consultation with our Registered Nurse in person or by telephone to review results is included. Results may also be sent to your healthcare provider upon request. Shipping label and lab requisition included. Less-Stress Weight Support® by Irwin Naturals: Specifically designed for overworked, overstressed, and overweight individuals, this innovative and comprehensive daily formula helps one to relax with L-theanine, reduce with green tea, and re-energize with B vitamins. Weight Loss Support Packets by Designs for Health®: This professional formulation provides specific ingredients for improved insulin sensitivity and metabolism, as well as increased energy and fat burning. Individual packets provide an easy to take, effective product for weight loss. Gluten, wheat, soy, dairy and artificial ingredient free, Non-GMO vegetarian formulation. Skip-A-Meal® Vanilla, Chocolate or Strawberry Shake by Progressive Labs™: Yummy tasting flavored powdered formulas with added vitamins and minerals provide reduced calorie, high protein meal replacement shakes in support of healthy weight management. Inflama-Trim™ by Source Naturals: This weight management complex provides vitamins, minerals and botanicals that support the maintenance of a healthy weight, and a proper inflammatory response, as well as blood sugar balance, fat metabolism and cortisol balance. Aging itself is not a condition, but a stage of life that should be enjoyed to its fullest. As aging is inevitable, many who lead active lives, filled with family time, social engagements, and the pursuit of personal interests, would agree that aging in a healthy state is the most desirable way to live. While it’s generally accepted that weight gain is an unavoidable biological consequence of normal aging, statistics show that a healthy weight can be maintained with a nutritious diet, a healthy lifestyle, and very importantly, conscious effort. After age 30, both men and women gain an average of one pound per year. Statistics show that it’s easier to avoid insidious weight gain over time than it is to lose weight and maintain weight loss as we age. Dr. Leslie Cho, a Cleveland Clinic interventional cardiologist, suggests that older individuals should focus on general fitness rather than a number on a scale. Researchers have found that a lack of physical activity was a better predictor of an adverse health event than carrying a small amount of excess weight. Why do we gain weight as we age? If you want to lose weight and keep it off, you have to exercise. Hormonal changes, a sedentary lifestyle, excess calorie and refined sugar consumption, medical conditions, and physical limitations can all affect weight gain. Most of us are aware of the alarming rate of global obesity. However, many not recognize may that adults age 40 to 59 comprise nearly 40 percent, and adults 60 years and older make up another 35 percent of Americans considered overweight or obese. The National Institute of Diabetes and Digestive and Kidney Disease defines overweight as an excess amount of body weight attributed to muscles, bone, fat and water, while obesity refers specifically to an excess amount of body fat. Aging is characterized by changes in body composition that include weight gain and muscle loss, making it harder maintain fitness. Studies show that as we age we lose subcutaneous fat that resides just below the skin. Conversely, we gain health damaging visceral fat that builds deep within the abdominal cavity, where it fires up inflammatory processes and disrupts blood sugar regulation. 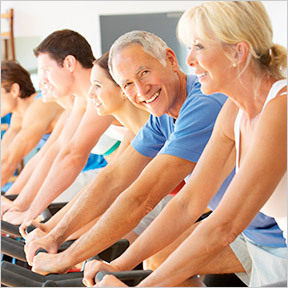 Additionally, even those who remain active will lose some muscle mass each decade. Less muscle mass results in a slowed metabolic rate, which reduces caloric need. Declining hormone levels can also have a significant influence on weight gain and the development of body fat. After age 50, both sexes must fight harder to lose extra pounds and effectively keep the weight off. As estrogen production decreases during menopause, women may notice weight gain and bone density loss, as well as increased difficulty losing weight. Men generally experience a decrease in testosterone, resulting in reduced muscle mass, lowered resting metabolic rate, and reduced calorie burn during physical activity. Still, men over age 50 have more lean muscle than women of the same age, and may lose weight easier and faster than their female counterparts. Don’t lose hope, however, as the difference between holding a steady weight and gaining one pound each year equates to the consumption of an additional 50 – 100 calories daily, a relatively small number of calories to forgo or keep in check with a brisk daily walk. What can you do to maintain fitness? Exercise is really the only way. If you are lean, it’s worth the effort to stay that way. Research suggests that physical activity may cancel out some of the negative effects of excess weight. Aerobic exercise and resistance training can help to maintain a healthy weight by boosting metabolism, reducing fat and building bone and muscle mass. Exercise helps to cool inflammatory processes and supports healthier insulin and blood sugar levels in people of all shapes and sizes. Individuals who are slightly overweight, but also physically active, maintain a higher degree of fitness as compared to those who remain inactive. That’s not to say that you needn’t set weight loss goals, as exercise won’t erase all the risks of carrying excess weight, particularly around the waist. In fact, those who are considered metabolically obese are at the highest risk of developing coronary heart disease. The medical community supports staying active to help lower the risks of heart disease, stroke, type 2 diabetes, certain cancers and other chronic conditions. While the acceptance that some exercise is better than none, more health benefits can be gained by slowly increasing the frequency, intensity, and length of physical activity. Government guidelines recommend participating in aerobic activity, that utilizes large muscle groups including legs and back, and increases heartbeat, for a minimum of 150 minutes per week. Additionally, weight training, push-ups, or other activities that strengthen and build muscles can help to compensate for age-related muscle loss when performed at least twice weekly. Metabolic slowdown that comes with aging means that you burn calories less efficiently than you did when you were younger. A healthy eating plan that consists of lean proteins, good fats, and complex carbohydrates will provide the proper nutrients to help support overall fitness. Filling your plate with nutrient dense and high fiber foods can help to improve hormonal balance and properly regulate blood sugar levels; and, along with physical activity, support and sustain muscle growth and bone strength. 15-Day Weight Loss Support Cleanse & Flush™ by Nature’s Secret®: This short-term use fiber and gastrointestinal support formula can help to stimulate digestive function, cleanse the digestive tract, and reduce bloating. Weight Loss Support Packets™ by Designs for Health®: Designed to help the body burn fat for fuel, reduce cravings, increase energy and improve insulin sensitivity, these packets provide three distinctive Designs for Health® formulations for a three-pronged approach to sensible weight loss. Gluten, wheat, soy, dairy, egg and artificial ingredient free, Non-GMO vegetarian formulation. PGX® Weight Loss Meal Replacement Double Chocolate by Bioclinic Naturals: This formula promotes weight loss by increasing satiety and providing supportive nutrients for blood sugar metabolism. A full complement of vitamins and minerals ensures support for healthy macronutrient metabolism. Also available in French Vanilla and Very Strawberry flavors. Gluten, wheat, yeast and artificial ingredient free. Raspberry Ketone Liquid Formula by OxyLife: This proprietary high antioxidant liquid formula aids healthy metabolism, energy production, and cellular health. Raspberry Ketone may be a valuable counter to weight gain resulting from a high fat diet by inducing fat burning for overall weight loss. Forskolin Fat-Loss Diet by Irwin Naturals: This formula provides ingredients that promote fat reduction for healthy weight management support. When used in conjunction with a sensible diet and exercise, Forskolin can help to reduce body fat and optimize overall body composition. Preservative free. Corvalen Ribose Chewable Tablets by Douglas Laboratories: These chewable tablets provide natural pentose sugar, clinically proven to help restore energy, support cardiac function and reduce muscle soreness, stiffness and fatigue. Specifically indicated for sports and fitness activities to accelerate energy and tissue recovery after exercise. Gluten, wheat, soy, dairy and artificial ingredient free, vegan formulation. Weight Management Profile by ZRT Laboratory: This saliva and spot blood test measures estradiol, progesterone, testosterone, DHEA and cortisol levels, as well as insulin, vitamin D and more. A 15-minute consultation with our Registered Nurse in person or by telephone to review results is included. Results may also be sent to your healthcare provider upon request. Shipping label and lab requisition included. While many women struggle to lose unwanted weight, men seem to have an easier time shedding excess pounds. Men do have a competitive edge when it comes to weight loss, as men’s bodies naturally contain more muscle mass and are more prone to building muscle due to higher levels of the hormone testosterone. As a result, men have a higher resting metabolism. These two advantages combined means more calories burned and quicker weight loss, as a higher metabolic rate burns more calories just to keep the body functioning. While it can be frustrating to watch your significant other lose weight at a faster pace, hang in there. With a little more time and effort, women can reach their fitness and weight loss goals. Men can often lose weight by increasing their exercise as opposed to combining diet and exercise. Research suggests that women need to get significantly more exercise to get the same health benefits and must also address their diets to see weight loss results. Men tend to have more visceral fat, which is easier to lose. However, this type of fat accumulates in the abdomen and surrounds vital organs, and is linked to heart disease, diabetes and stroke. Women have more subcutaneous fat found just under the skin, which can result in cellulite and dimpling. Women tend to carry more body fat on their thighs and around their hips, much healthier areas to store body fat. From that standpoint, women may have one advantage, as throughout their lives even the fittest women naturally average 6 – 11% more body fat than men. Women’s estrogen levels work to retain fat in order to preserve fertility as a natural part of women’s child bearing physiology. While women may have a harder time losing fat, subcutaneous fat is the least harmful to health. Unfortunately, women tend to be emotional eaters, making it harder to resist unhealthy foods and sabotaging our diet resolve. Stress eaters tend to weigh more on average, and consuming extra calories when we are stressed or lonely can make weight loss even more challenging. While women tend to engage in aerobic exercise or use light weights while strength training for fear of building muscle, men tend to use heavier weights that build muscle and burn more calories. When women cut calories, their bodies tend to go into starvation mode, slowing metabolism and hanging onto fat, while men’s bodies respond more quickly to exercise. As women’s bodies are typically smaller than men’s, women have lower caloric needs, leaving less room for a reduction in calories. As a result, women lose fat much more slowly than a larger man, who can create a larger calorie deficit more easily. Engaging in high intensity, shorter bouts of exercise helps to burn fat and increase muscle mass for both men and women. Weight training at least twice a week will get your fat burning engine revving, help to build a streamlined physique and strengthen your bones. While women may struggle more than men to lose weight or maintain a healthy weight, obesity is an equal opportunity offender. Eating healthy foods in moderation and living an active lifestyle will result in reaching your goals no matter your gender. So while it may take patience for women to get closer to their ideal weight, persistence pays off. While initially men lose more weight and more body fat, after about 6 months the rate of weight loss evens out, equalizing the playing field. While the pounds may not drop as quickly as some women might prefer, as long as it is moving in the right direction, you are on track to meet your goals. Weight Loss Support Packets by Designs for Health – This complete program provides support for optimal fat burning, reduced cravings, increased energy and improved metabolism and leptin resistance. Women’s Nutrients by Pure Encapsulations provides broad spectrum health support with highly bioavailable multivitamins, minerals and trace elements and is specifically designed for women over 40 years of age. Healthy Transformation Weight Loss Program by Metagenics provides a 12 week program for basic wellness and strategic weight loss support along with a 30 day supply of nutritional products. Available with and without individual soup packets. Al’s Formula (Basic Nutrients for Men over 40) by Thorne Research provides comprehensive vitamin and mineral support for mature men’s health and wellness.